From Concept to Reality… Building off the radical design of “The LEGEND”. The GRUMPER offers a revolutionary combination of both grille and winch bumper. Fully Customizable with 4 removable inserts, this aggressive yet sophisticated piece is sure to change the way we look at bumpers going forward for the Jeep JK. From Concept to Reality... Building off the radical design of "The LEGEND". The Full Width GRUMPER offers a revolutionary combination of both grille and winch bumper. 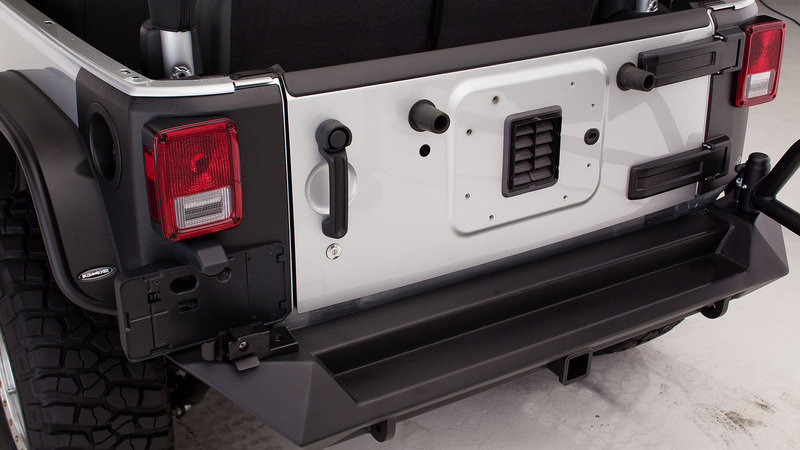 Fully Customizable with removable inserts, this aggressive yet sophisticated piece is sure to change the way we look at bumpers going forward for your truck or Jeep.